It is the instructor’s responsibility to help students prepare themselves for the discussion. Each student should be encouraged to accept responsibility for contributing to the discussion and benefiting from it. Throughout the time the instructor prepares the students for their discussion, they should be made aware of the lesson objective(s). In certain instances, the instructor has no opportunity to assign preliminary work and must face the students for the first time. In such cases, it is practical and advisable to give the students a brief general survey of the topic during the introduction. Normally, students should not be asked to discuss a subject without some background in that subject. The techniques used to guide a discussion require practice and experience. The instructor needs to keep up with the discussion and know when to intervene with questions or redirect the group’s focus. The following information provides a framework for successfully conducting the guided discussion. A guided discussion lesson is introduced in the same manner as the lecture. The introduction should include an attention element, a motivation element, and an overview of key points. To encourage enthusiasm and stimulate discussion, the instructor should create a relaxed, informal atmosphere. Each student should be given the opportunity to discuss the various aspects of the subject, and feel free to do so. Moreover, the student should feel a personal responsibility to contribute. The instructor should try to make the students feel that their ideas and active participation are wanted and needed. The instructor opens the discussion by asking one of the prepared lead-off questions. Discussion questions should be easy for students to understand, put forth decisively by the instructor, and followed by silence. An instructor should also be patient and give students a chance to react. While the instructor should have the answer in mind before asking the question, the students need to think about the question before answering. Keep in mind that it takes time to recall data, determine how to answer, or to think of an example. The more difficult the question, the more time the students need to answer. If the instructor sees puzzled expressions, denoting that the students do not understand the question, it should be rephrased in a slightly different form. The nature of the questions should be determined by the lesson objective and desired learning outcomes. Once the discussion is underway, the instructor should listen attentively to the ideas, experiences, and examples contributed by the students during the discussion. Remember that during the preparation, the instructor listed some of the anticipated responses that would, if discussed by the students, indicate that they had a firm grasp of the subject. As the discussion proceeds, the instructor may find it necessary to guide the direction to stimulate the students to explore the subject in greater depth or to encourage them to discuss the topic in more detail. By using “how” and “why” follow-up questions, the instructor should be able to guide the discussion toward the objective of helping students understand the subject. When it appears the students have discussed the ideas that support this particular part of the lesson, the instructor should summarize what the students have accomplished using an interim summary. This type of summary is one of the most effective tools available to the instructor. It can be made immediately after the discussion of each learning outcome to bring ideas together and help in transition, showing how the ideas developed by the group relate to and support the idea discussed. The interim summary may be omitted after discussing the last learning outcome when it is more expedient for the instructor to present the first part of the conclusion. An interim summary reinforces learning in relation to a specific learning outcome. In addition to its uses as a summary and transitional device, the interim summary may also be used to keep the group on the subject or to divert the discussion to another member. A guided discussion is closed by summarizing the material covered. In the conclusion the instructor should tie together the various points or topics discussed, and show the relationships between the facts brought forth and the practical application of these facts. For example, in concluding a discussion on density altitude, an instructor might give a fairly complete description of an accident which occurred due to a pilot attempting to take off in an overloaded airplane from a short runway at a high-altitude airport on a hot day. The summary should be succinct, but not incomplete. If the discussion has revealed that certain areas are not understood by one or more members of the group, the instructor should clarify or cover this material again. As with any training method that involves discussion, students are encouraged to listen to and learn from their instructor and/or each other. Also as mentioned earlier, discussion involves critical thinking skill. Open-ended questions of the type used in guided discussion lend themselves readily to concepts of risk management and ADM. The constant use of “What If?” discussions provide the student with increased exposure to proper decision-making. From the description of guided discussion, it is obvious this method works best in a group situation, but it can be modified for an interactive one-on-one learning situation. 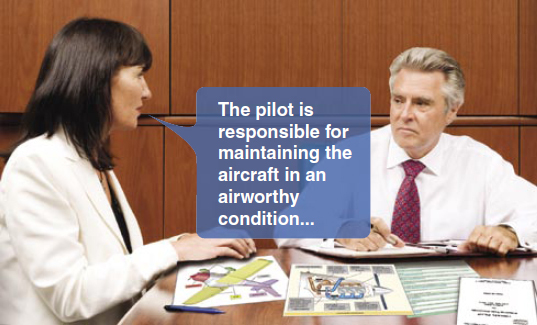 [Figure 4-11] Planning the guided discussion as well as learning how to ask the type of questions used in guided discussions are assets for any aviation instructor. Figure 4-11. As the student grows in flight knowledge, he or she should be able to lead the postflight review while the instructor guides the discussion with targeted questions.